The romance of Prague, the Czech Republic’s proud capital city, is legend. But not too many years ago, this former Soviet country was as intrinsically linked to its equally communist stable mate Slovakia as Rolls is to Royce. The resulting name of Czechoslovakia was the stuff of spy novels, conjuring up images of Cold War intrigue, espionage and shady goings on in black Volgas. It was also, of course, home to one of the most iconic Eastern Bloc cars of all time, the humble, rear-engined Skoda. The region became a sovereign state of Central Europe from 1918, when it declared its independence from the Austro-Hungarian empire. However, during the six years of the Second World War after its forced division and partial incorporation into Nazi Germany, the state did not exist in reality, save for a government-in-exile operating from London. Czechoslovakia’s final and peaceful dissolution came about on January 1st, 1993, when it separated into the Czech Republic and Slovakia. 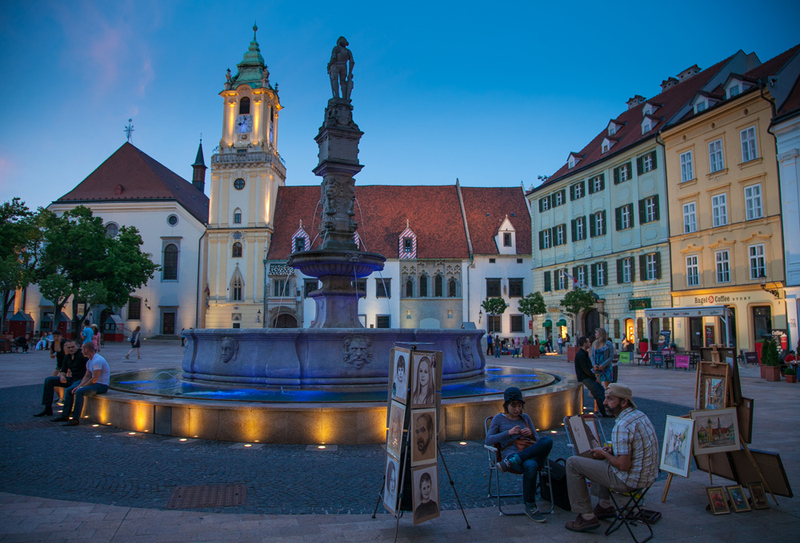 Less popular than its majestically lauded twin Prague, with its stunningly impressive skyline of domes and spires, Slovakia’s capital, Bratislava, none-the-less has much to offer those wishing to explore the slightly lesser travelled roads of Europe. Compelling and beautiful in its own right, this splendid city effortlessly combines old with new, communism with democracy and grandeur with everyday ease. English is freely spoken, making the plethora of cafés, restaurants and bars a joy to patronise, affording this delightfully quirky metropolis a charm which sets it apart from its European contemporaries. There is also a vast choice of accommodation on offer, ranging from luxury hotels to more modest – and more affordable – smaller hotels and guest houses. Don’t just book on price however, as you really do tend to get what you pay for and may end up a little shocked at what is considered ok at the far end of low budget. If you wanted something a little different without paying a fortune, the Hotel Kyjev, a fabulously retro tower block of comecon kitsch complete with a Trabi police car in the ominously but marvellously dark foyer, was brilliant. It does, however, remain to be seen what it will be like following its closure for refurbishment at the end of October, 2011. One can only hope not all of its socially historic character will have been lost forever. There is even talk of it being demolished completely, which would be very sad, as we really need to preserve these treasures for future generations, even if they don’t hark back to what could be considered our finest hours. 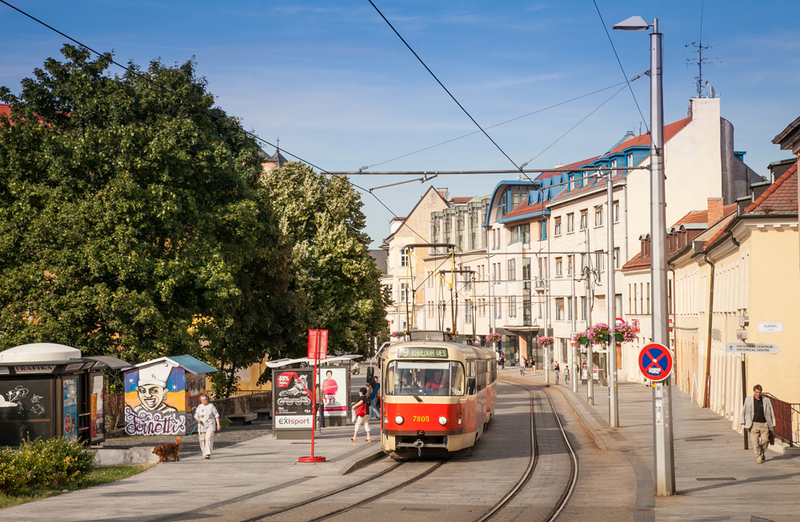 Bratislava is well served by a cheap and reliable public transport network, in particular its frequent tram services running the length and breadth of the city and, as always, this is a great way to explore the sights and sounds. 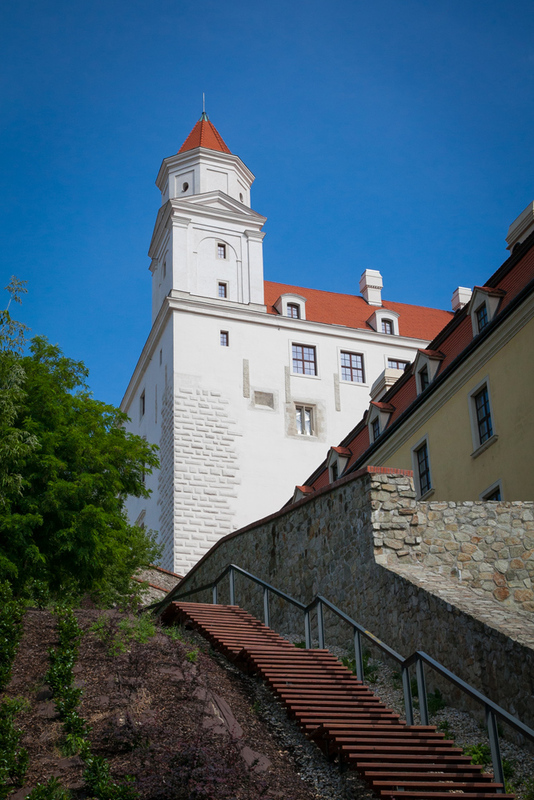 Not to be missed is the imposing Bratislava Castle, located on a hill that has been populated as early as in the Stone Age. 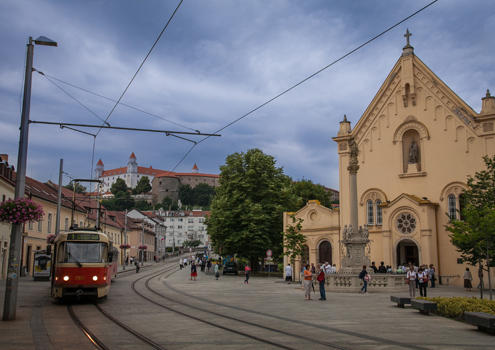 It houses the exhibition of the Slovak National Museum as well as serving as a state function venue. St Martin’s Cathedral is also well worth a visit. Consecrated in 1452, this three-nave Gothic dome was built in the place of an older Romanesque church. 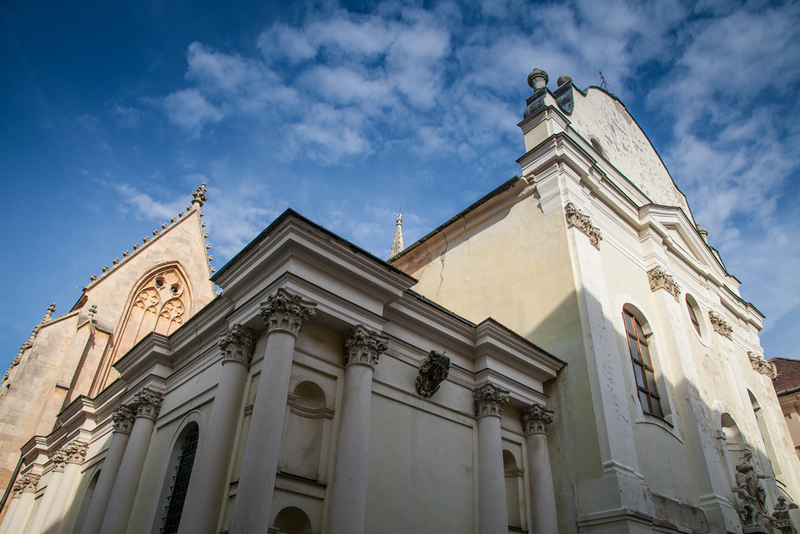 As Bratislava became the capital of the Hungarian Kingdom in the 16th century, the Cathedral was the coronation place for Hungarian Emperors, 11 Hungarian Kings and 8 Queens having been crowned here between 1563 and 1830. 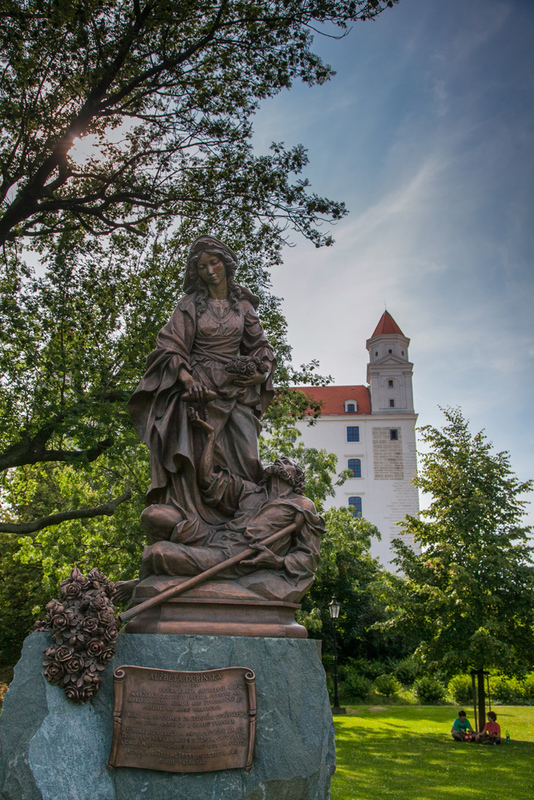 This impressive edifice sports a metre high copy of the Hungarian royal crown weighing some 300 kilograms on its tower, while inside you’ll find an 18th century statue of St Martin and the Beggar, by the famous Baroque sculptor Raphael Donner. 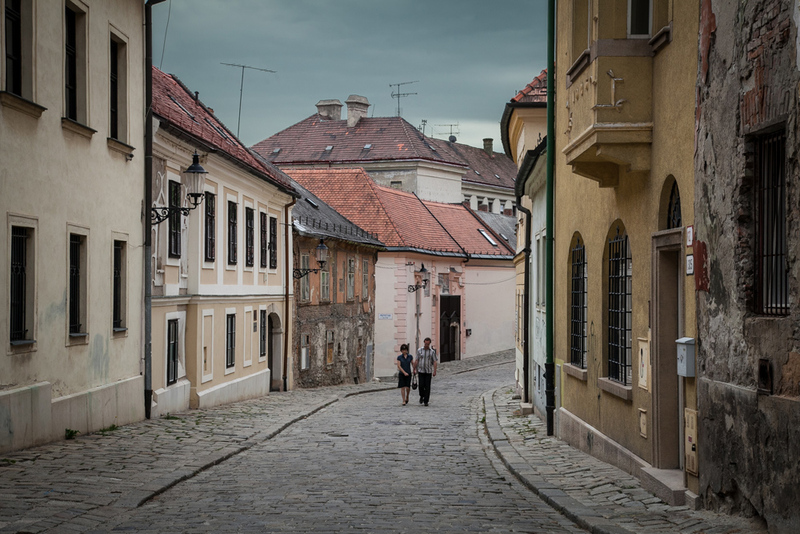 Medieval Bratislava was entered through one of four gates, the only surviving one being the 50 plus metre high Michael’s Gate, the watchtower of the original fortification. Originally built in the early 14th century, and rebuilt many times since, it now houses a collection of medieval arms and town fortifications from the Municipal Museum, as well as affording one a stunning view of the city. 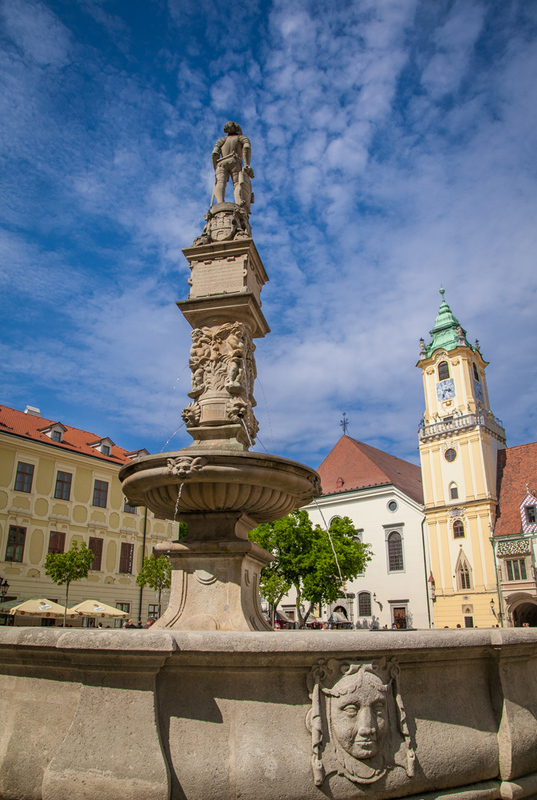 The famous Academia Istropolitana was the very first university in the territory of present day Slovakia. Founded by King Mathias Corvinus in 1465, this historical monument now houses the Academy of Fine Arts, and will please those history buffs looking for something a little askant from the usual fare. The impressively Rococo Grassalkovich Palace, built as the summer residence of Count Grassalkovich in the 1700s, was a centre of the Hungarian aristocracy social life and was also visited by the Empress Maria Theresa. Demoted to use as an activity center for Bratislava schoolchildren in the communist era the palace was reconstructed in the mid-1990s, and became the seat of the Slovak Republic’s president. Its garden is now a public park, and makes for an extremely pleasant afternoon stroll. The Old Town Hall is also well worth a look. Complete with clock tower and romantic courtyard sporting Renaissance arcades, it is one of the most appealing historical buildings of the capital. 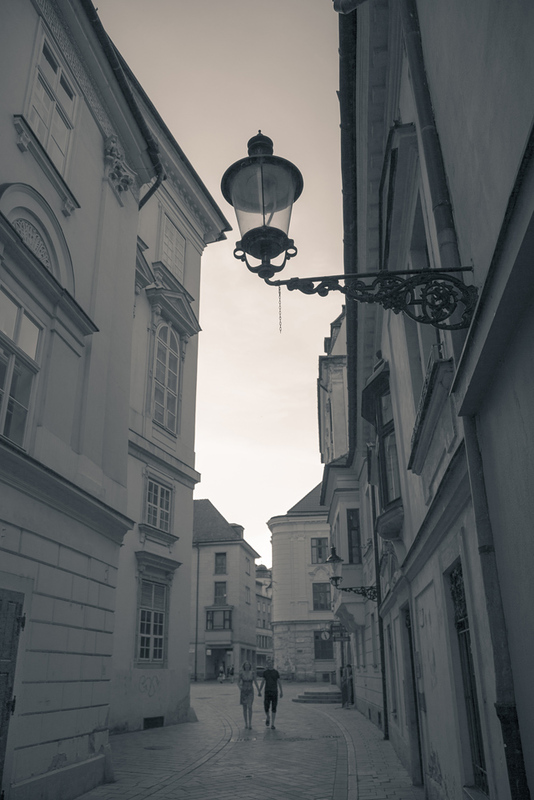 The whole consists of myriad constructions build over various stylistic periods and its main purpose today is to house the City Museum, with its eclectic collection fascinatingly documenting Bratislava’s rich history. Thespian aficionados will love the Slovak National Theatre, situated in the beautifully restored Hviezdoslavovo Square. This historical building is a jewel of Neo-Renaissance architecture, built by Viennese architects Fellner and Helmer in the mid 1880s, and replaced the original theatre. Take special note of the Ganymede’s fountain out front, and then marvel at the beautiful interiors. The Jewish community has always played an important role in Bratislavan life and, although the historical Jewish quarter near the castle was destroyed, the most significant Jewish funerary shrine and place of religious worship still can be found in the Castle Hill. Chatam Sofer Memorial is a preserved part of the original Jewish Cemetery, with graves including that of the famous rabbi Chatam Sofer, arguably the most important figure in the history of Jews in Bratislava. 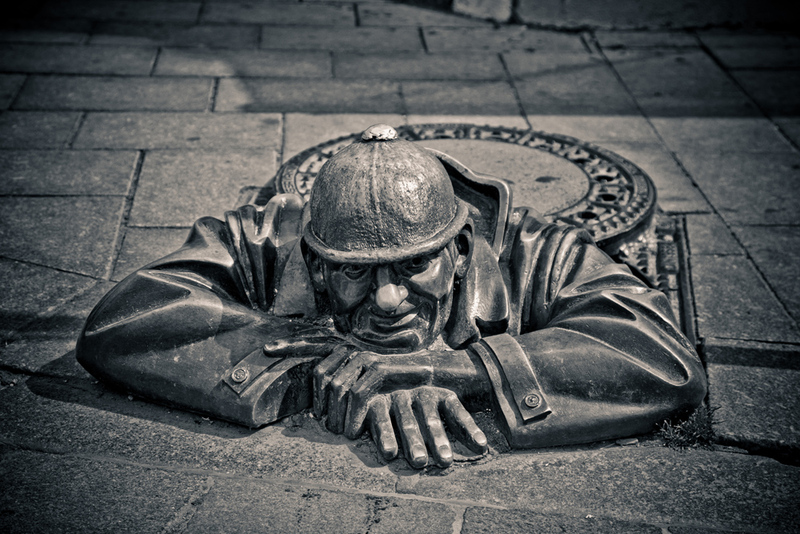 Curiously, one of the biggest attractions for visitors to the city in recent times is the presence of four life size bronze statues hidden in the streets of the Old Town. 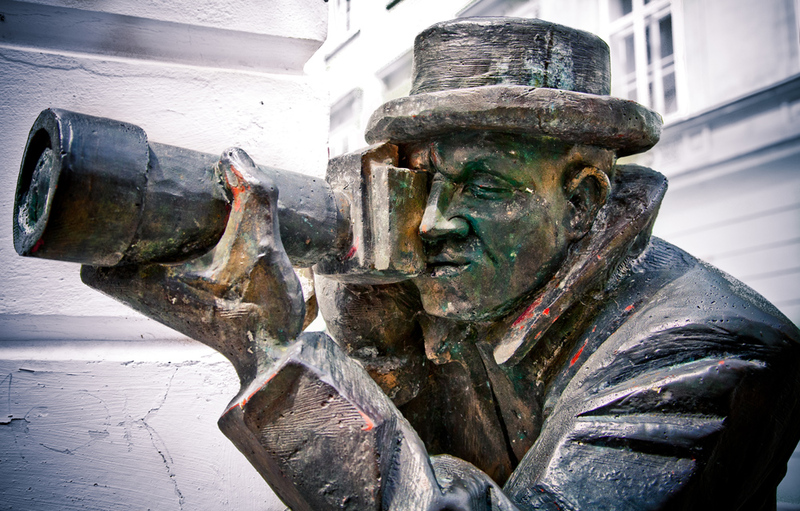 Cumil – The Peeper, can be found on the corner of Panska and Rybarska brana streets, a French Napoleonic Soldier sits quietly on a bench on the Hlavne namestie (Main Square), a Paparazzi lurks capriciously on the corner of Laurinska and Radnicna streets, and the renowned colourful local character Schöner Náci, still doffs his hat to passersby on Rybarska brana street, by Kaffee Mayer. It is surely these iconic sculptures, in all their splendiferous glory, that sum up this multi-faceted cityscape’s celebrated diversity, truly setting it apart in an increasingly uniform Europe.